In the past few years, something of an obsession has developed amongst travelers (both short-term annual vacationers and less conventional long-term ones) in “living like locals” when abroad. It starts before we even embark on our journey, with carefully pruned packing lists so that we aren’t outed on sight alone as the foreigners that we are by something as superficial as our clothing, and we spend hours researching all the best “off the beaten path” attractions that only the locals frequent so that we can escape our fellow tourists once we arrive. But I always wonder why so many people would want to live like a local when the option exists for you to go one step further and actually live with locals; I firmly believe that if you want to quickly uncover the heart of a place, there is no better way to do so than to meet its people and, better yet, be invited into their homes. When it comes to authentic local travel, surely there can be nothing better than this: not only do you gain insight into the culture and a new way of life, but you also get the chance to form friendships and new connections, which we’ve swiftly come to see as one of the most powerful and wonderful things about traveling. 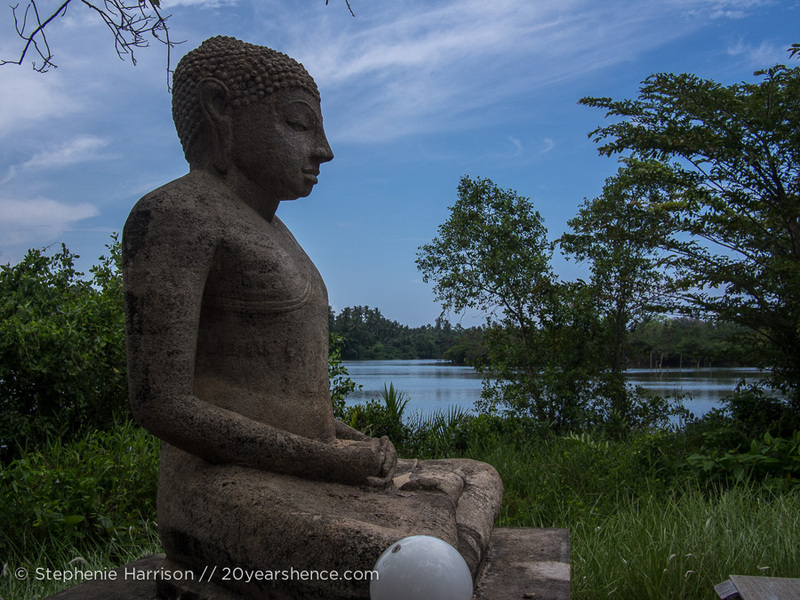 As luck would have it, in Sri Lanka, homestays are abundant and readily available, so experiencing the warmth and hospitality of the country’s residents couldn’t be easier. 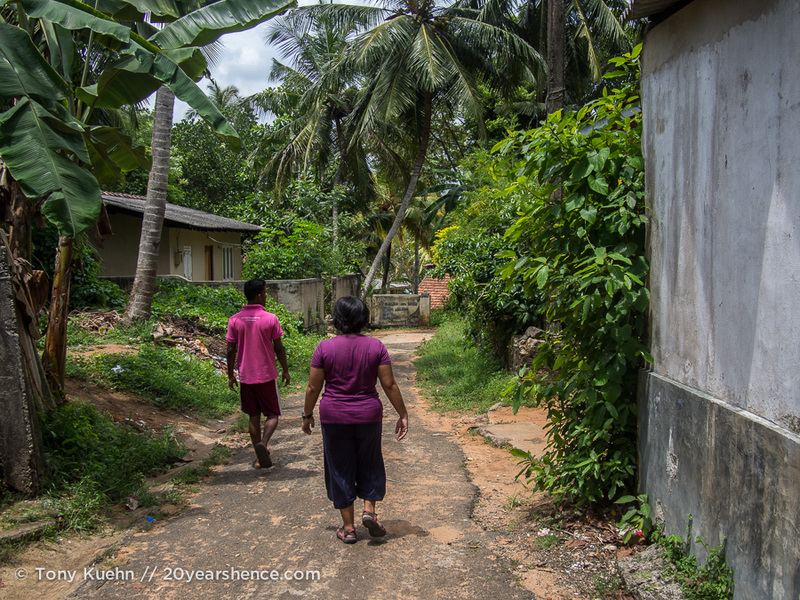 In my last post, I wrote about our marathon travel day that took us down to the tiny town of Ambalangoda. No one questioned what about this town made it so special that we decided a 24-hour travel day was worth the journey, but I figure it’s a fair question to ask, especially since, even if you’re a Sri Lankan geography buff, it’s probably not one of the first places you’d think of visiting. 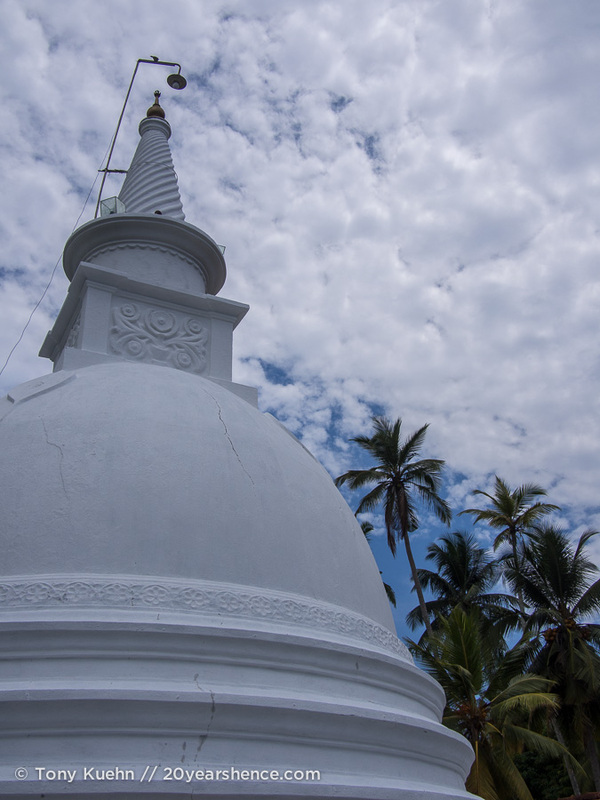 But our decision to visit Ambalangoda was one of the simplest ones we ever made: I was browsing AirBnB looking for reasonable lodging somewhere between Colombo and Galle and a particular homestay jumped out at me. Not only was the price great ($11US for two people! ), but something about the photos and the family featured within them just immediately called out to me. When I showed the listing to Tony, he agreed that this was a place we needed to stay. 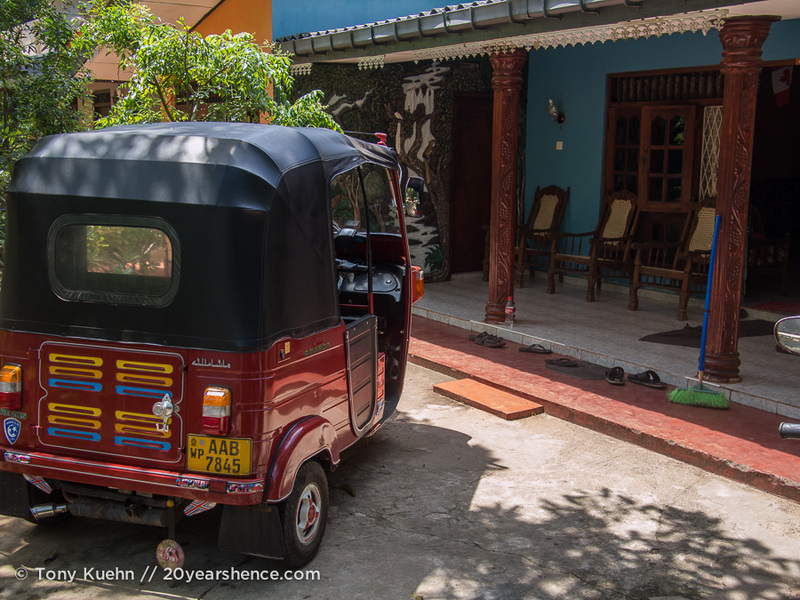 Even though it took us eons to reach Ambalangoda (which is really almost a “blink and you’ll miss it” kind of place) in our shiny red tuk tuk, immediately upon our arrival we knew we had made the right decision. Coasting King Tuk through the gate into the family compound (which felt more like a lush tropical garden), our host family immediately gathered around, grins blazing, to admire our ride and usher us eagerly into their home. The interior wasn’t anything fancy or ostentatious, but you could immediately tell from the personal items scattered about and the knickknacks on the walls and tables, that this was a place for family, a place where life was lived rich and full. And for one, night we would get to be a part of it. Even if we were slightly dazed and confused following our epic travel day, I can’t imagine a better introduction to Sri Lanka than the one received. 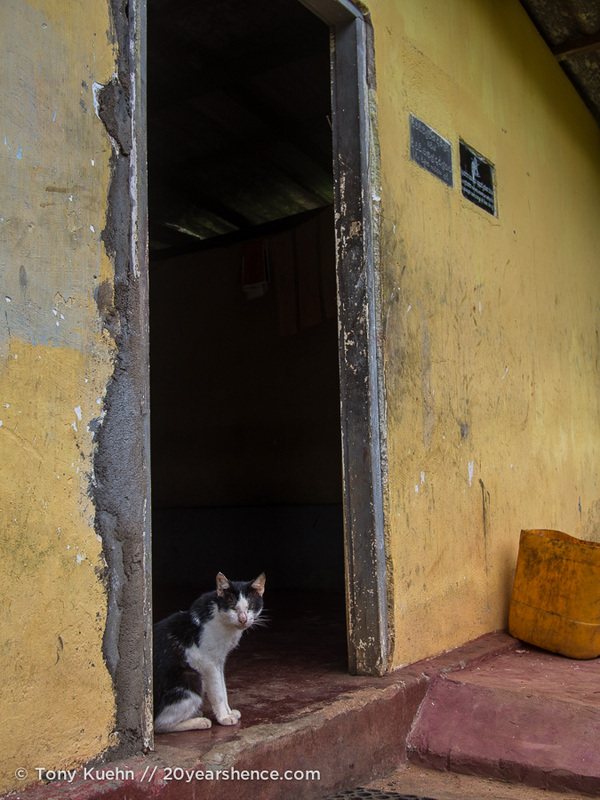 We were welcomed so warmly into their home, and felt that we immediately had a new group of friends. We stayed up later than we thought possible chatting with our hosts about the many guests they had hosted over the years (in addition to being on AirBnB, they had also hosted many CouchSurfers!) and their own travel experiences, as well as their hopes and dreams for the future. Shakthi, an affable teen with a passion for cricket, was more than happy to expand our pitiful knowledge of the sport when a match between two Indian teams popped up on the television, while his younger sister diligently crafted a delicate paper lantern for an upcoming Buddhist festival. We hadn’t even been in the country for an entire day, but already we were in the thick of a boisterous and loving family. We loved every second of it. And the food! If ever there were a country where any extra effort required to sample homecooked food is worth, surely that must be Sri Lanka. 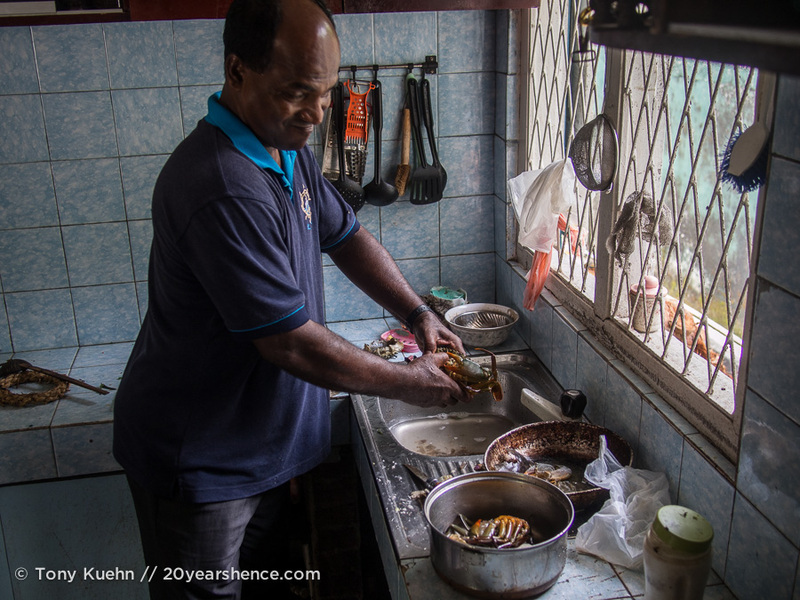 Part of what had drawn me to this particular homestay was the promise that Nayana, the mother hen of the family, was a force to be reckoned with in the kitchen when it came to Sri Lankan delicacies; we were not let down on this score. 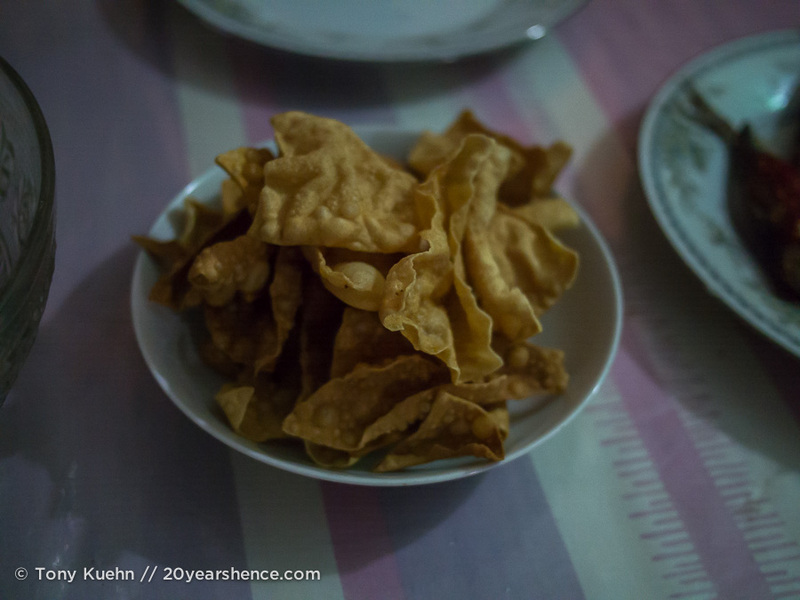 For dinner we chowed down on ladles of creamy dahl thickened with coconut milk, crispy fried fish drizzled with a lip-tingling spicy chili sauce, fresh salad & crunch papadams, and mountains of fluffy rice. Nayana continued to pile our plates high and we ate unprotestingly until our bellies bloated and to eat any more would have been painful. 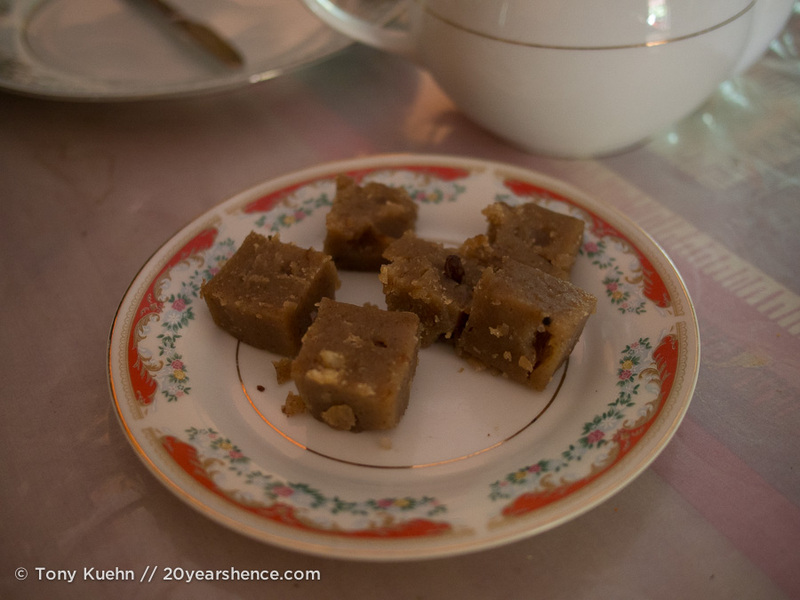 In the morning, we awoke to a magnificent Sri Lankan breakfast spread of coconut roti toasted over an open flame served with woodapple jam, soft squares of milk rice, and cubes of kalu dodol—a devilishly sweet treat made from coconut milk, rice flower, and a Sri Lankan specialty called jaggery (palm sugar). To round everything out, we had copious cups of sugary milky tea and the sweetest little bananas we had ever had the good fortune to taste. Never have we so quickly learned not just what the locals in a country eat, but how they eat as well. 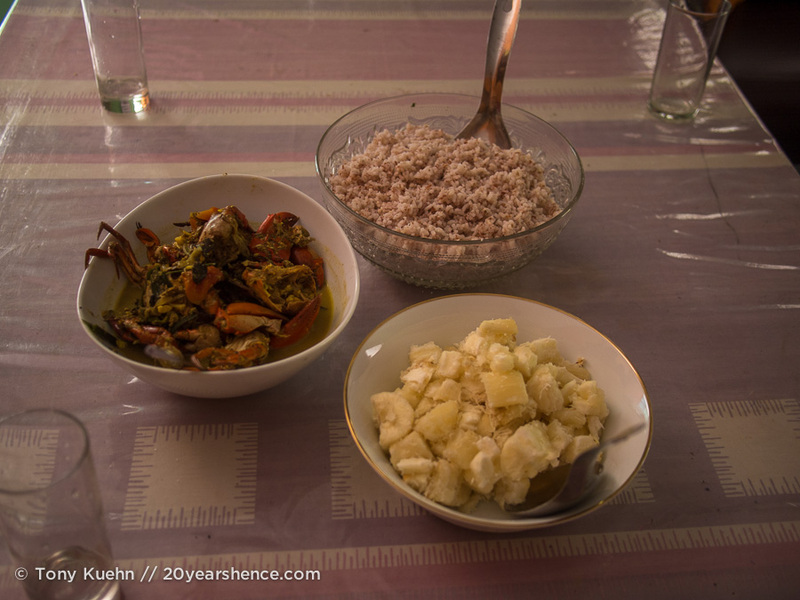 Swiftly we realized that Sri Lankans like to eat frequently and with gusto. 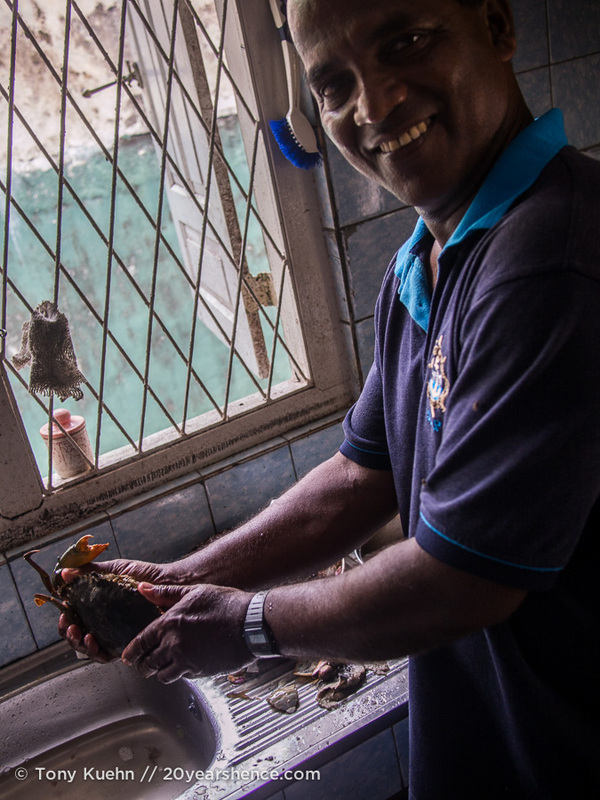 Although we had eaten more for breakfast than we normally would in two meals combined, not three hours later, our hosts were tempting us with fresh crabs that they wanted to prepare into a traditional Sri Lankan curry for us. Though our stomachs protested and we needed to be heading out for our next destination, there was no way could turn down that offer! 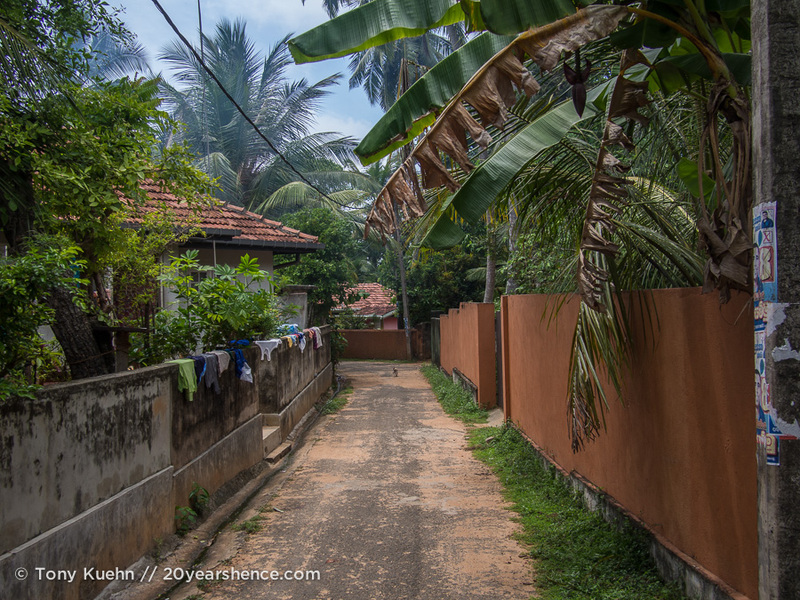 To try to work up an appetite for the feast we suspected would soon follow, we asked Shakthi to take us for a tour of the neighborhood. 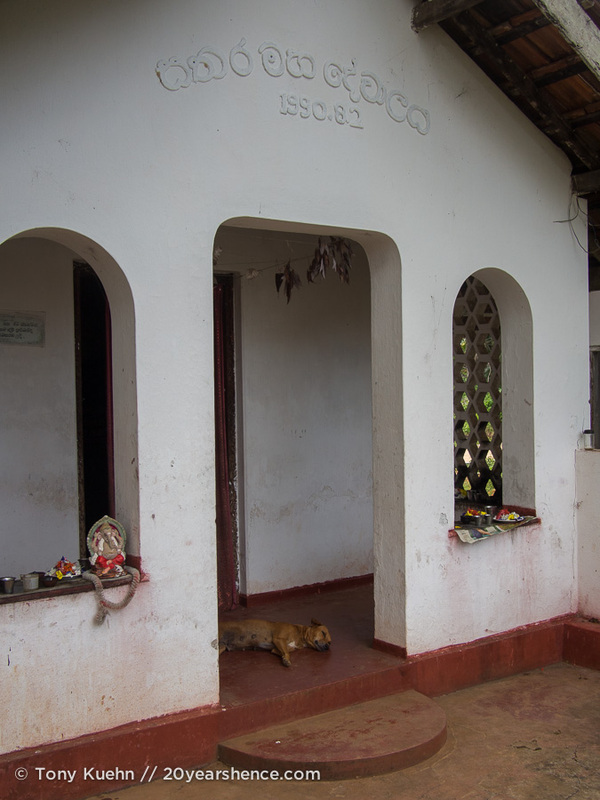 With him acting as our guide, we ambled towards the local temple. 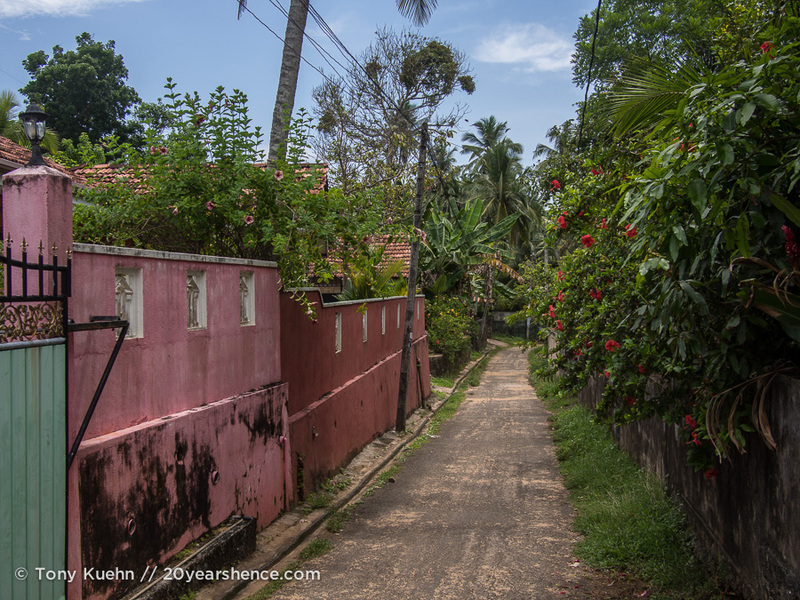 Down cheerful laneways strewn with flowers the color of candy and lined with houses that seem plucked out of a colonial fairytale we strolled while a shy mongoose darted alongside us through the brush. 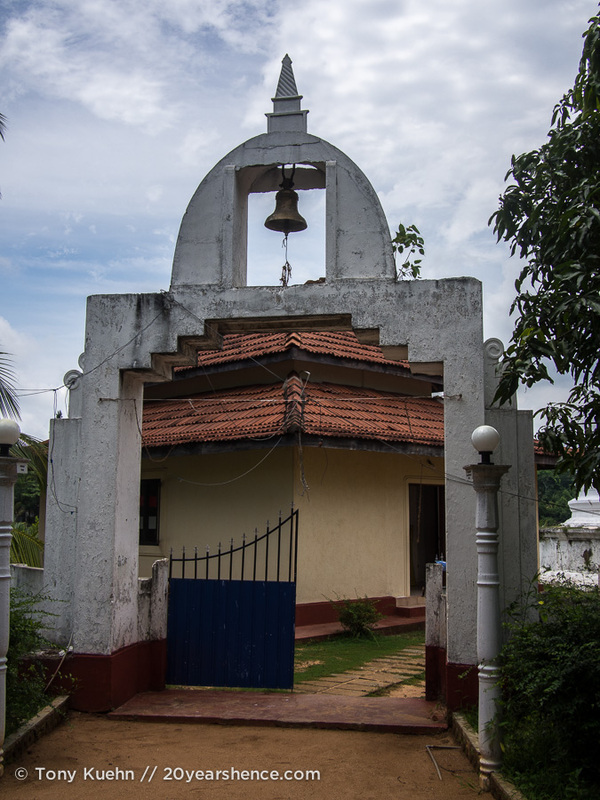 The temple grounds were quiet and serene, housing a white dagoba awaiting its annual coat of fresh paint and a centuries old banyan tree, revered for its holy properties. Frangipani blossoms carpeted the ground, and their perfume—alongside that of the sweet cinnamon trees scattered around the complex—catapulted us into olfactory bliss. As we wandered through the temple, a trio of mischievous young scamps in training to be monks shadowed us, snickering and giggling whenever we waved and said hello. Then it was back down the lanes, across the main road, and over to the beach. 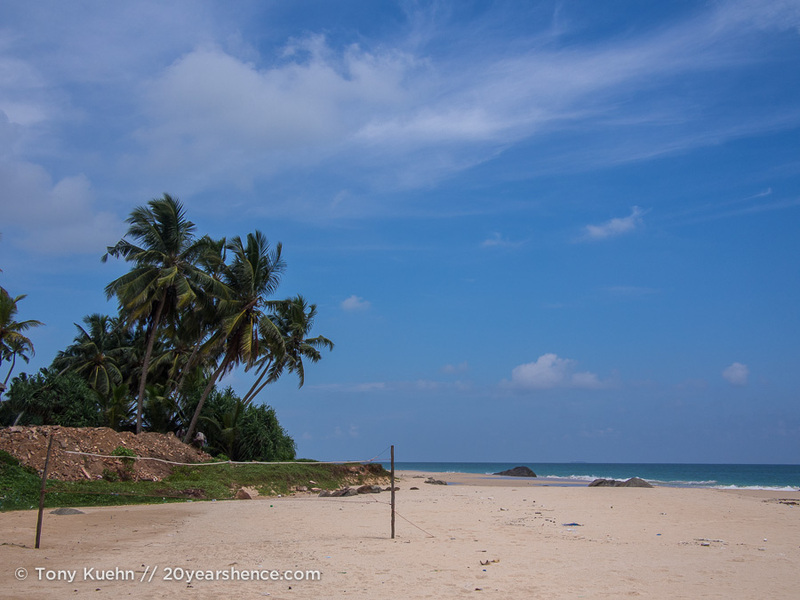 What is so shocking about the beaches in Sri Lanka is not that they are the perfect combination of sea and sand (though they are), but that they are impossibly clean for Asian beaches AND utterly deserted. With miles of pristine beach ringing the country like a coastal halo, it’s all too easy to find huge swaths of it that you can claim for yourself and live out your secret “desert island” fantasies on for a couple of hours. We strolled along the sand, letting the warm waves tickle our toes, and scrambled up a rocky knoll to enjoy the view from a higher perch. 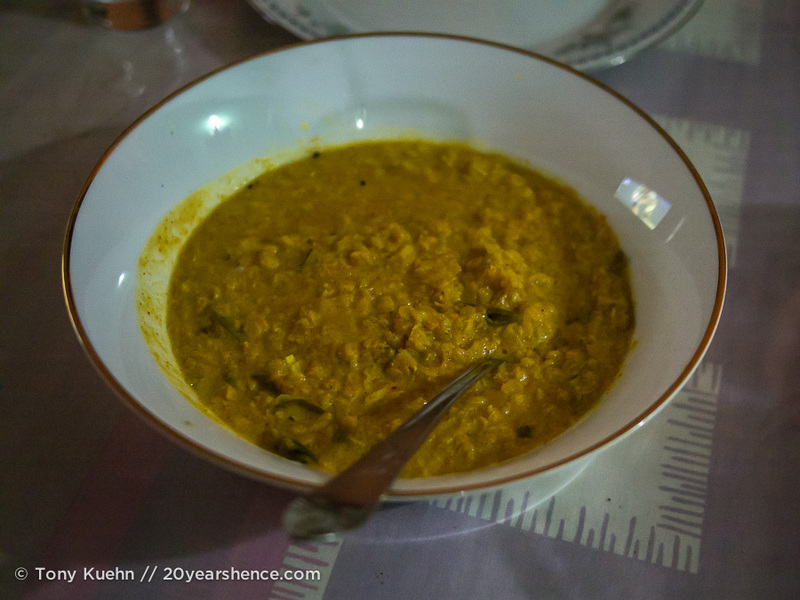 By the time we returned home, we were more than ready to tuck into our first Sri Lankan curry. We have eaten some ridiculously good crab on this trip, but believe me when I say this iteration, made with crabs fresh from local fishermen, might have been the best of them all. Although I had been expecting something akin to a South Indian curry, the flavors of this curry—based on coconut milk and lots of leafy herbs—were much more reminiscent of the West Indian curries I grew up eating in my Nanny’s kitchen. Each bite was like a flavorful blast from my past, and the only sounds at the table were the contented sighs of everyone sucking and slurping every last morsel of sweet crab from its shell. 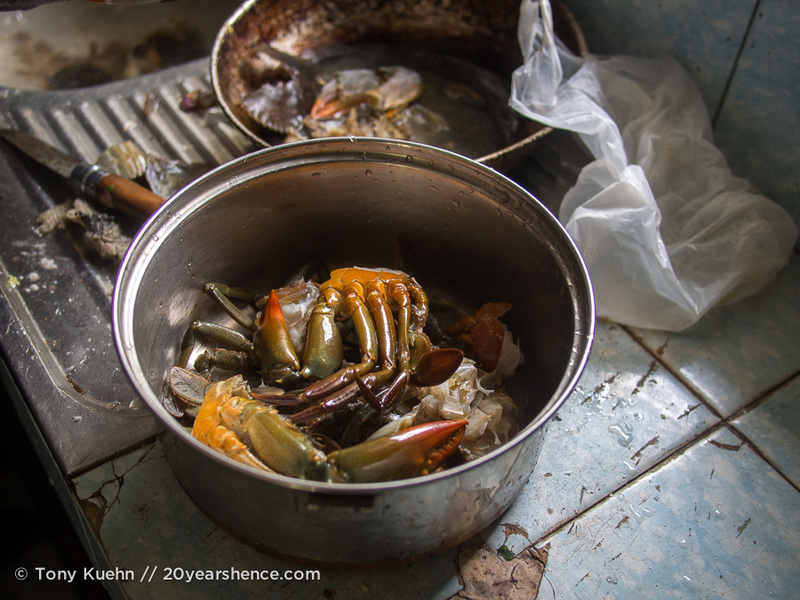 I maintain that there’s no elegant way to eat crab—you’ve got to use your hands and be ready for a mess—but, like warriors who make it through a battle together, you’ll never feel closer to your dining companions than you do after you’ve demolished an army of crab. The curry was the perfect balance of rich yet light, satisfying without being stodgy. 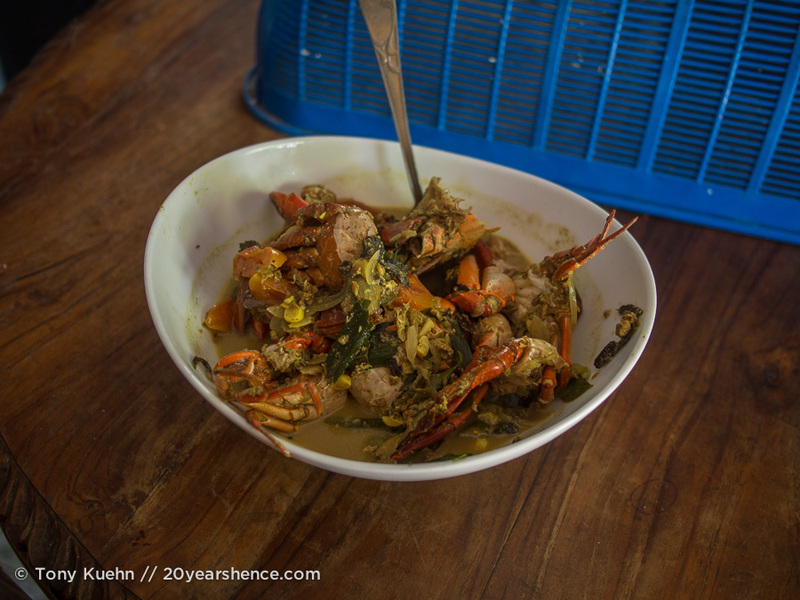 We ate incredibly well throughout Sri Lanka, feasting on some of the best seafood of our entire trip while on the island, and this curry definitely sits near the top of that list. 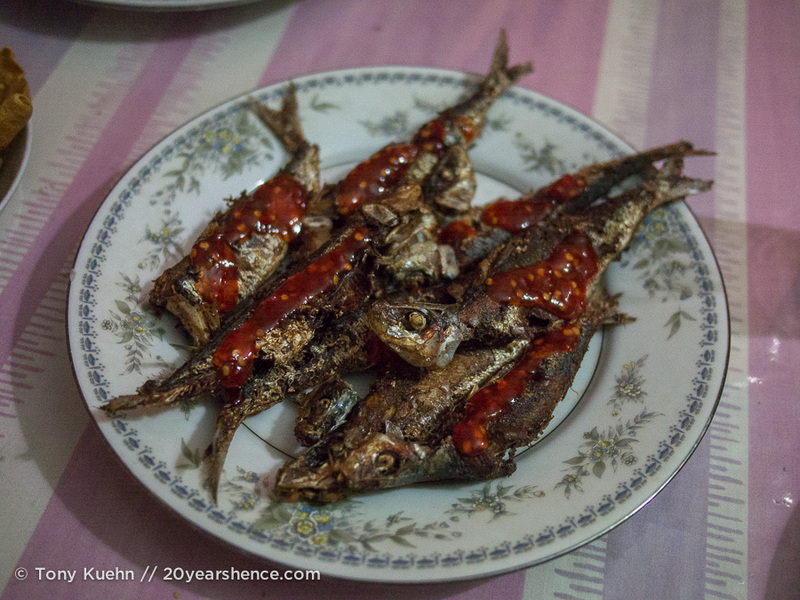 By far the best meals we enjoyed while in the country were the ones made by regular people in basic kitchens based on recipes passed down from one generation to the next and this was a wonderful start to three weeks of connecting with locals across plates piled high with glorious food. So it was with bellies impossibly full (you will never go hungry in Sri Lanka, this is a fact) that we reluctantly bid farewell to our fantastic hosts in Ambalangoda and hit the road (already three hours behind schedule) once more. The memories we shared with this family are ones I know we’ll carry with us always and, hopefully, will carry us back to Ambalangoda itself some day. Our stay with them was more than just a place to sleep and fill our stomachs (though we did both very well), it was also a lovely way to truly live and breathe the local way of life and let it slip under our skins, if only for one day. Tell Us: Have you ever done a homestay while traveling? If so, what was your favorite experience? If not, is it something you would like to try? Looks like you guys had an amazing host family. We did one in India in Orchha and it was amazing to be involved withe family for a few days. The father spoke a little English, the mother and grandmother even less, so we interacted with them mostly through their oldest daughter who was just a beacon of kindness. I’ll never forget the hours I spent playing chess with her and one of her younger brothers and how he would constantly try and get her to lose so he could play sooner. Anais also had henna applied by one of the girls and it was such a special experience for her vs. paying a stranger to apply it. The food was also delicious and grandma’s constant “Chapati? One? Two?” calls at every meal stick with us some months later – when I see the word written down, I hear her voice in my head. It looks like you had an amazing host family and great time too! We stayed with a host family once in Thailand in a tiny village not far from Chiang Mai whilst we were volunteering for a week at Care for dogs. At the end they accommodate us in a separate room from the house and we needed to get our own food so there wasn’t much interaction, they were nice people though and even gave us two bikes that we could use. Hmmm, it sounds like the homestay you did in Thailand was more like a guesthouse. What a shame you didn’t get to eat with the family (even if you contributed some money for meals!) and get to spend more time with them. I know the kind of experience we had in Amblangoda is one you and Dale would LOVE. Awww, that family looks so sweet! This was on the west coast of the country, getting close to the southern tip. We actually didn’t spend much time on that coast because when we arrived, we had read that it would be experiencing monsoon season, so focused on the central regions and the east coast. 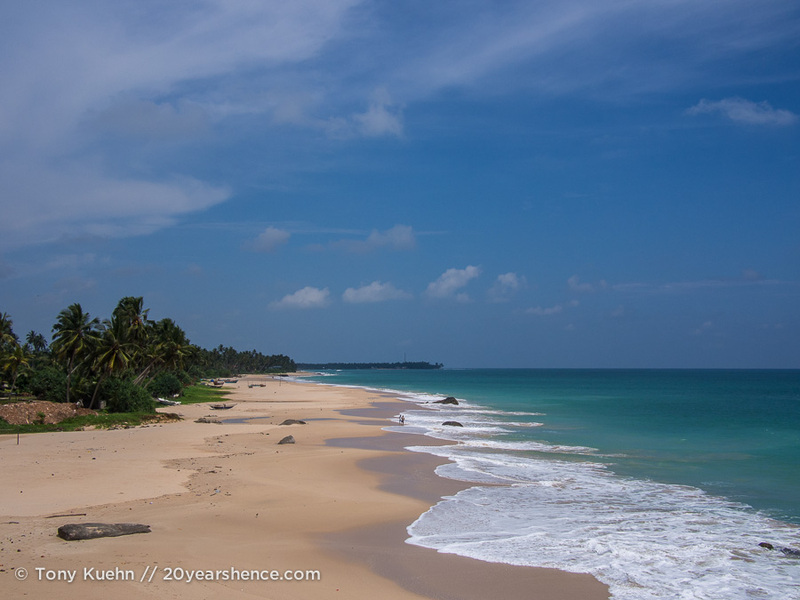 We were there in late April & early May, so I have no idea if that influenced the tides, but I will say that on the whole we found Sri Lanka to be one of the cleaner Asian countries we visited and beached on the east coast were equally pristine! That food looks lush! I am heading to Sri Lanka in 2016 (I know, still ages away) and I admit that I didn’t know much about the food. I am so excited now! 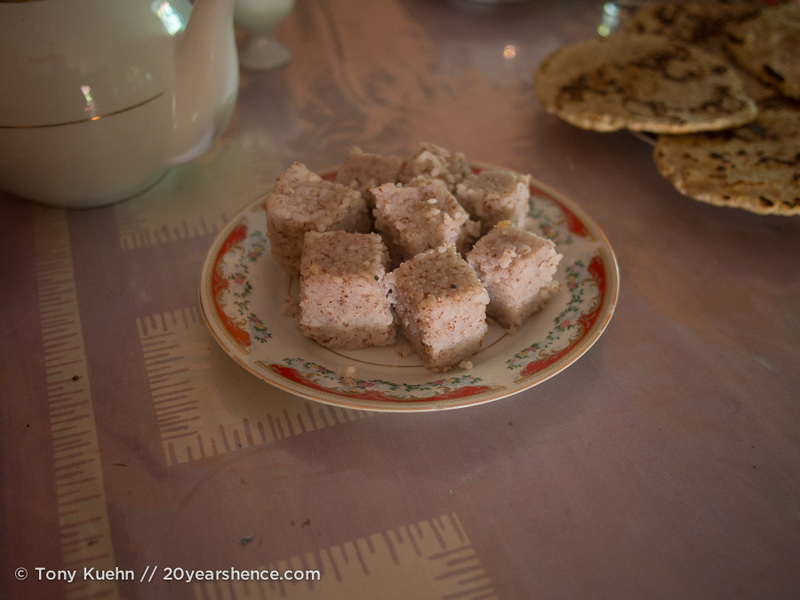 I have never done a homestay before, but it is definitely something I want to do, especially after reading this post. I’m afraid if someone kept feeding me like that, I would just never leave! Gorgeous pictures of the temple and the beach! We have done a fair bit of CouchSurfing, but I believe this was our first official homestay and we really had a fabulous time. I highly recommend it to any and all travelers who are looking to see an unvarnished side of whatever country they are visiting and really connect with locals and their culture. I admit, it was hard to leave after just one night because of how great the family was AND because of that food… I could have happily eaten Nayana’s cooking the entire time we were in Sri Lanka, no complaints! I remember reading about your Bornean longhouse experience and being so jealous because of how incredible it sounded. That kind of hospitality is something that I think you can only experience when you fling yourself off the map and is one of the best things about traveling! Great pics – this place looks very “local”!!! 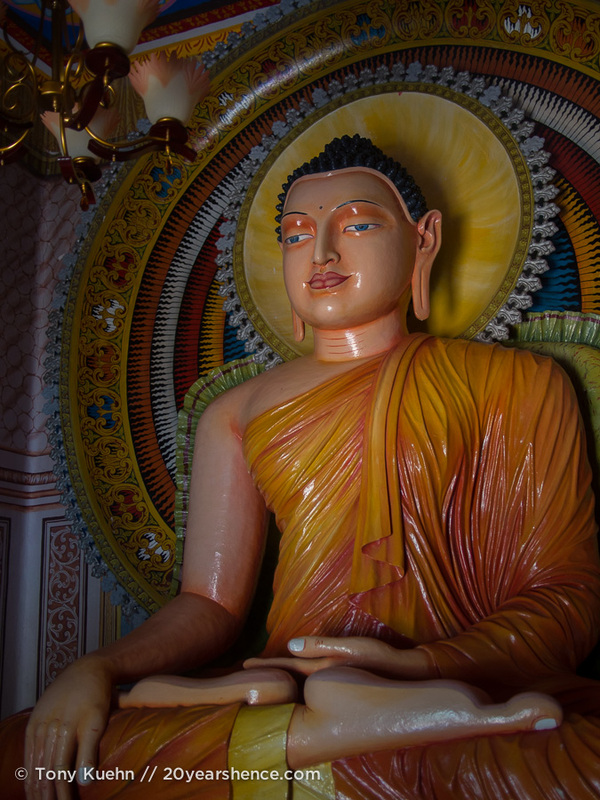 And Sri Lanka is a great place – it’s beautiful, easy and the people are so friendly!! Yes, it really doesn’t get more local than this! And when the people are as beautiful and welcoming as the ones in Sri Lanka, this type of experience just can’t be beat! Hi Steph, it was nice to have this lovely home and family awaiting after you epic journey. Gosh, those meals look delicious. escpecially the crab. Great local experience indeed. Keith and i did a homestay when we traveled in Cuba. We thought it was a great way to expereince local life and also a good way to help locals earn extra cash. We had a wonderful experiences with the families,. We felt like part of them after spending few days with them. Sri Lanka looks beautifful from your images. That’s one place I’d love to visit and you’re inspiring me to do so more. You really should visit Sri Lanka! It is SO BEAUTIFUL and the people there are so lovely. And that crab dish… delicious! 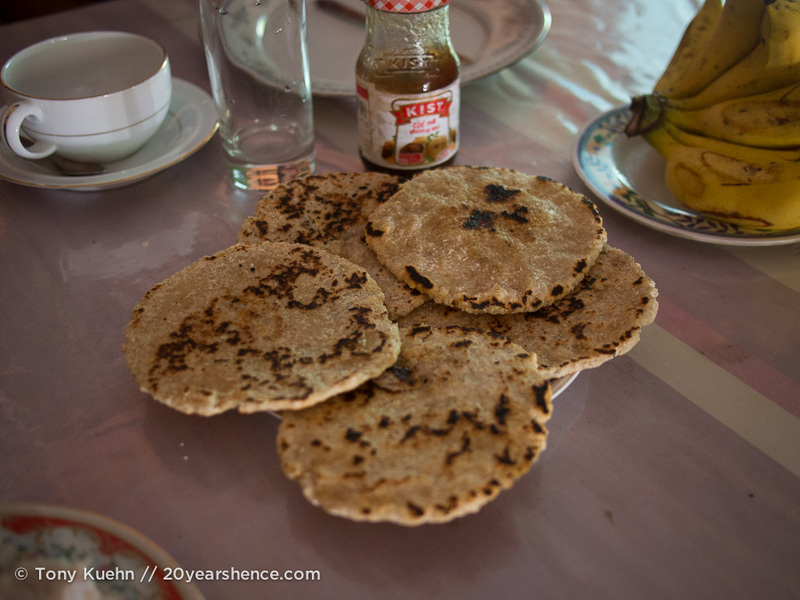 😀 It’s worth doing homestays just for the food, but the people you meet (including the knowledge that you are directly giving money to those who need it most) is another awesome perk. Love that you did one in Cuba—that must have been so fascinating for the two of you! Good homecooked meals go such a long way to making us feel at home in a country and Sri Lanka definitely did not disappoint on this front. Between homestays and CouchSurfing, it’s hard to think of a better way to travel in this part of the world! Glad to hear you’ve had similarly positive experiences in your own travels. This is such a wonderful story about time spent with an incredible family! I’m glad that you got to experience life in Sri Lanka with such amazing hosts! It sounds like a dream come true. And those beaches! They are deserted…and they are beautiful! Wish I was there right now! Seriously, the beaches in Sri Lanka are INSANE. Truth be told, we were never that impressed with Asian beaches (barring a few notable exceptions), but literally every beach we saw in Sri Lanka looked like this, which is to say absolutely gorgeous. This plus the beautiful people and incredible food (much of it vegan! ), and we found it incredibly difficult to say goodbye to this fantastic place! Dang. I would have never expected that kind of beach anywhere in Asia. We were just telling my in-laws how clean Hoi an was for Asia and this makes it looks like a trash heap. Seriously, the beaches in Sri Lanka absolutely blew us away. I had pretty much given up on Asian beaches, and then: WHAM! Every last one of them was gorgeous, impeccably clean, and just went on for miles and miles. We didn’t spend much time at the beach in Hoi An, but I do remember thinking the beach there was pretty good (à la Buster Bluth), but no contest: Sri Lanka’s beaches have to be some of the best in the world. WOW! What an incredible experience you guys have had! The family seems so happy and inviting, and then the food…I was salivating reading it. We’ve had a mega absence of curries and the like so far this year and I can’t wait to hit India (and hopefully Sri Lanka since you’ve really sold me on it – I hope the airfare gods are on our side…) and eat EVERYTHING! 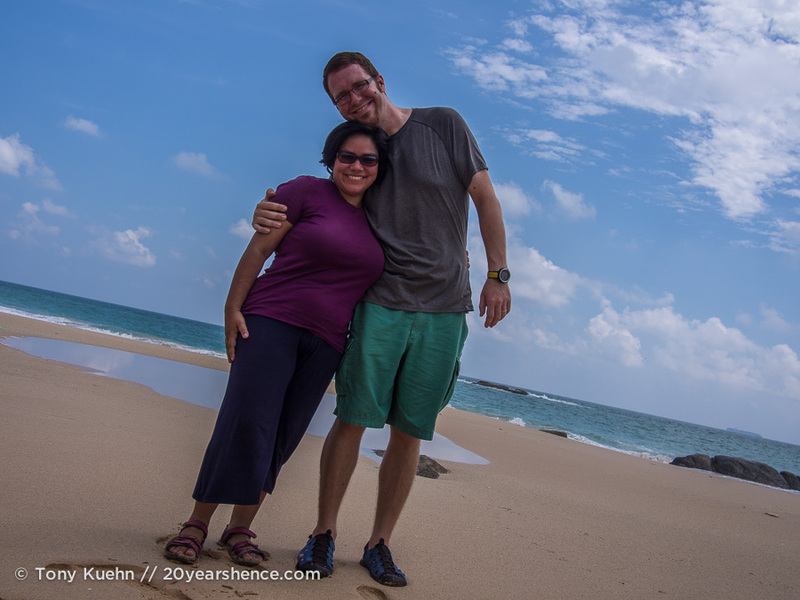 If you can make it to Sri Lanka, I strongly urge that you do: it wound up being one of our favorite destinations and our only disappointment with it is that we only had 24 days to explore and we wanted more! 😀 Also, the food there is really incredible and distinct from Indian cooking (though there are obviously some similarities); it’s definitely a country worth eating your way through! Victoria recently posted..If you’re going to dance the night away – Do it in Berlin!